Researchers at Tianjin University have developed an attitude sensor, located within the reflector target for a total station. This enables large scale 6 degrees-of-freedom measurements. I provided some support with the calibration procedure, described in this open access paper. 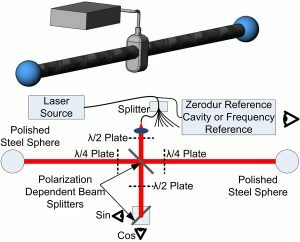 A novel calibration method is presented for a multi-sensor fusion system in large-scale metrology, which improves the calibration efficiency and reliability. 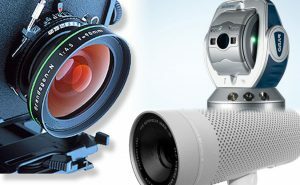 The attitude sensor is composed of a pinhole prism, a converging lens, an area-array camera and a biaxial inclinometer. A mathematical model is established to determine its 3D attitude relative to a cooperative total station by using two vector observations from the imaging system and the inclinometer. There are two areas of unknown parameters in the measurement model that should be calibrated: the intrinsic parameters of the imaging model, and the transformation matrix between the camera and the inclinometer. An integrated calibration method using a three-axis rotary table and a total station is proposed. A single mounting position of the attitude sensor on the rotary table is sufficient to solve for all parameters of the measurement model. A correction technique for the reference laser beam of the total station is also presented to remove the need for accurate positioning of the sensor on the rotary table. Experimental verification has proved the practicality and accuracy of this calibration method. Results show that the mean deviations of attitude angles using the proposed method are less than 0.01°.